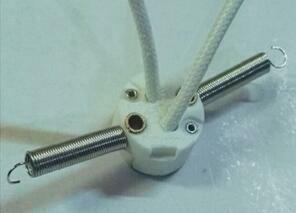 High quality GU4 lamp holder / GU5.3 ceramic lampholder with M3 clearance hole fixings. 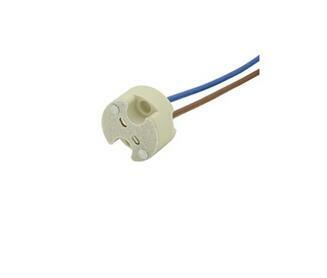 Rated at 5A 25V with temperature rating of T250. Supplied with 150mm 0.75mm2 7599 single insulated Teflon wire (VDE approved), ends stripped to 8mm. GU4 lamp holder: “gu” means Multiface reflect, many sided reflection (cup), “4” means bulb caliber (the unit is 1 / 8 inch),the caliber of GU5.3 Ceramic Lamp Holder:16×1/8=2 inch≈50mm, “GU” is the push-in lamp holder,two pins, usually use for the halogen lamps and led lamps,it’s very convenient to install. 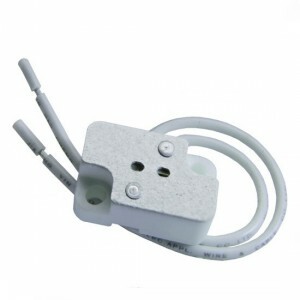 This low voltage lamp holder has a slotted Steatite base and can therefore be used as a GU4 lamp holder suitable for MR11 bulbs or a GU5.3 lamp holder for MR16 bulbs. Rated at 5A 25V and suitable for up to 100W, ideal for use with low voltage halogen and dichroic lamps. Supplied with 150mm Teflon insulated high temperature wires, stripped to 8mm and suitable for up to 180 degrees Celcius. 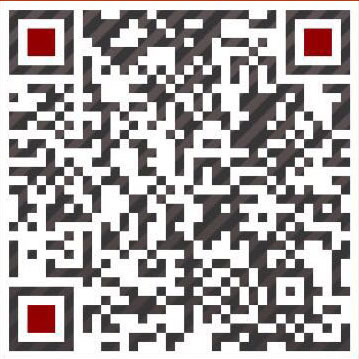 UL and VDE approvals and RoHS compliant. 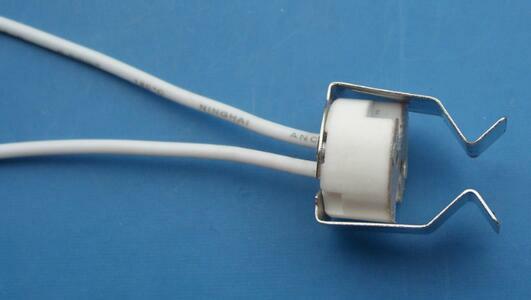 GU4 lamp holder Suitable for MR11 and MR16 bulbs. 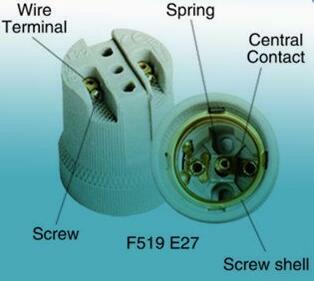 Prev: What’s a porcelain lamp socket?